The Highest Quality Performance Exhaust Systems Ever Made. Order your pipe NOW and 10% off with code: XXMAS. 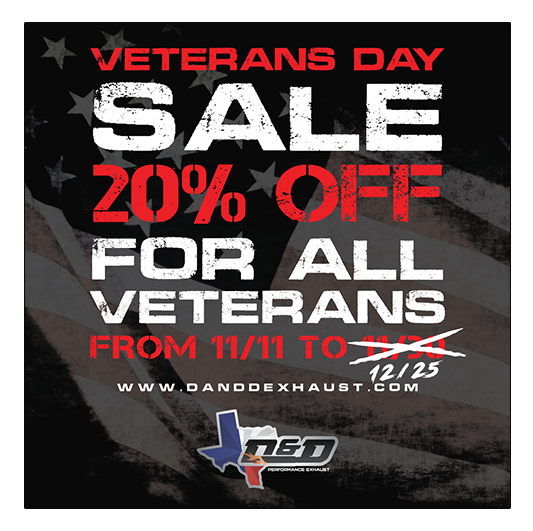 Don’t forget that we have extended our 20% Veterans Day Sale until Christmas also! Use your promo code on the cart page after you've added your exhaust to your cart.